We will use your personal data only for the purposes and in the manner set forth below, which describes the steps we take to ensure our processing of your personal data is in compliance with the General Data Protection Regulation ((EU) 2016/679) (GDPR) and any implementing legislation (Data Protection Legislation). Technical Data includes Internet Protocol (IP) address, browser type and version, time zone setting and location, browser plug‑in types and versions, operating system and platform and other technology on the devices you use to access our Website. Profile Data includes your social media profiles (if applicable), your preferences, feedback, communications and survey responses, and your Larapulse Technology password and username as applicable. This Website is not intended for children and we do not knowingly collect data relating to children. If you are under the age of 16, please do not attempt to register with us at this Website or provide any personal information about yourself to us. If we learn that we have collected personal information from a child under the age of 16, we will promptly delete that information. If you believe we have collected personal information from a child under the age of 16, please contact us at contact@larapulse.com. To register a new user, create and maintain your account and provision services to you. To provide open source software (OSS). To provide user training classes and certifications to users. To provide you with information about Larapulse Technology and its products and services and provide newsletters or email updates to you. To understand the flow of traffic on our website and to provide a better website experience and to understand the needs of our users. To manage and operate our website – to keep our website updated and relevant, to develop our business and to inform our marketing strategy and monitoring how you use our Website. To provide you with general information on the Website and to provide you with our products and services. To measure your interest in and improve our products, services and the Website. To ensure that content on the Website is presented in the most effective manner for you and for your computer or mobile device. To record and support your participation in the activities you select. To notify you about any changes to the Website, policies, products and services. To assist in providing the highest level of customer care. The processing is necessary to support our legitimate business interests in managing our business provided such interests are not overridden by your interests and rights. We have carried out a balancing test to ensure that your interests do not override this legitimate business interest of ours. For more information on this balancing test carried out by Larapulse Technology please contact contact@larapulse.com. Please note that you have a right to object to processing of your personal data where that processing is carried on for our legitimate interest. If Larapulse Technology or substantially all of its assets are acquired by a third party, in which case your personal data held by us may be included in the transferred assets (for example, in the form of a database of users of the Website). Similarly, personal data may be transferred as part of a corporate reorganization, insolvency proceeding, or other similar event, if permitted by and done in accordance with applicable law. To our distribution and reseller partners who may contact you regarding our products and services. To detect, prevent, or otherwise address fraud, security, or technical issues. To protect against harm to the rights, property or safety of Larapulse Technology, our employees, our users, customers, or the public as required or permitted by law. We are committed to protecting the security of your personal data. We use a variety of security technologies and procedures to help protect your personal data from unauthorised access and use. As effective as modern security practices are, no physical or electronic security system is entirely secure. We cannot guarantee the complete security of our database, nor can we guarantee that information you supply will not be intercepted while being transmitted to us over the Internet. We have implemented strict internal guidelines to ensure that your privacy is safeguarded at every level of our organization. We will continue to revise policies and implement additional security features as new technologies become available. Where we have given you a password which enables you to access certain parts of our Website, you are responsible for keeping that password confidential. We ask you not to share your password with anyone. We store your personal data during the time that you are a customer or end user of Larapulse Technology for purposes of providing you the services, and for up to seven years after you cease to be a customer or end user. If you have never been a customer or registered end user of Larapulse Technology, but have consented to receive marketing inquiries or other information from Larapulse Technology, we may store your data for up to two years. We reserve the right to store or delete your personal data earlier or later than set forth herein if required to do so by an applicable law or regulation, including the GDPR and for the exercise or defence of legal claims. Larapulse Technology is committed to ensuring that you have control and visibility of your personal data. Below is a summary of your rights and additional commitments from Larapulse Technology. You may exercise your rights by contacting us at contact@larapulse.com. Right of Access – You can request a copy of the personal data we hold about you. Right to Rectification – You have the right to request that we correct any inaccuracies in the personal data we hold about you and complete any personal data where this is incomplete. It is your responsibility to ensure that any information you have provided to us is accurate and up‑to‑date. If any of the information that you have provided to us changes, please send us an email entitled ‘CHANGE OF DETAILS’ to contact@larapulse.com. If you do not want to receive newsletters, announcements, or other communications and/or services from the Larapulse Technology, please do not opt in for those communications or services at the time of registration. If you have opted in and, at a later time, wish to opt out, please unsubscribe by sending us an email entitled “UNSUBSCRIBE” to Larapulse Technology Data Privacy Officer at contact@larapulse.com. Along with every email communication sent to you, we provide you the opportunity to discontinue receiving future communications (i.e., unsubscribe). Simply follow the unsubscribe process or directions provided at the bottom of the email or go to our Unsubscribe Page. If you do not want to send your data to be used by third party sites in order to provide advertising that is relevant, please opt out by updating your option here. Updating your option does not ensure your historical data will be deleted from the third party sites. You may refer to the table below to opt out from third party sites. Authorized by European Union or Member State law. Where we base a decision solely on automated decision making, you will always be entitled to have a person review the decision so that you can contest it and put your point of view and circumstances forward. We will respond to your request in writing, or orally if requested, as soon as practicable and in any event not more than one month after receipt of your request. That period may be extended by two further months where necessary, taking into account the complexity and number of requests. We will inform you of any such extension within one month of receipt of your request. We may request proof of identification to verify your request. All requests should be addressed to contact@larapulse.com. Preferences, Features, and Services Cookies can tell us which language you prefer and what your communication preferences are. They can help you fill out forms on https://larapulse.com more easily. They also provide you with features, insights, and personalized content based on other content you’ve engaged with on the Website. If you limit the ability of our websites to set cookies, this may prevent you from using certain features of our Website properly and your user experience – which will no longer be personalized for you – may deteriorate. 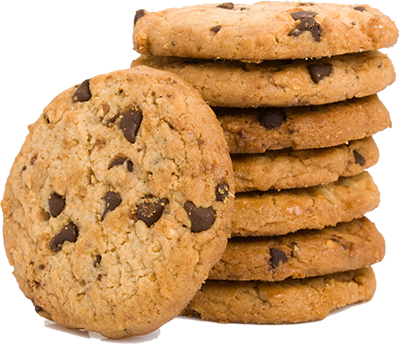 You may also be able to opt out from certain cookies through third party cookie management sites. Disabling cookies may prevent you from using certain parts of our Website. If you delete your cookies from the browser, you may need to remember to reinstall opt‑out cookies. We reserve the right to change this Privacy and Cookies Policy from time to time at our sole discretion. If we make any changes, we will post those changes here and update the “Last revised” date at the top of this Privacy and Cookies Policy. Where you have previously consented to our use of your personal data, your continued use of the website after we make changes is deemed to be acceptance of those changes, so please check this Privacy and Cookies Policy periodically for updates. If we consider the changes are significant, we will provide a more prominent notice (including, for certain services, email notification of privacy and cookies policy changes). If you have any questions, comments, requests and complaints regarding this Privacy and Cookies Policy and the information we hold, please contact us at contact@larapulse.com.